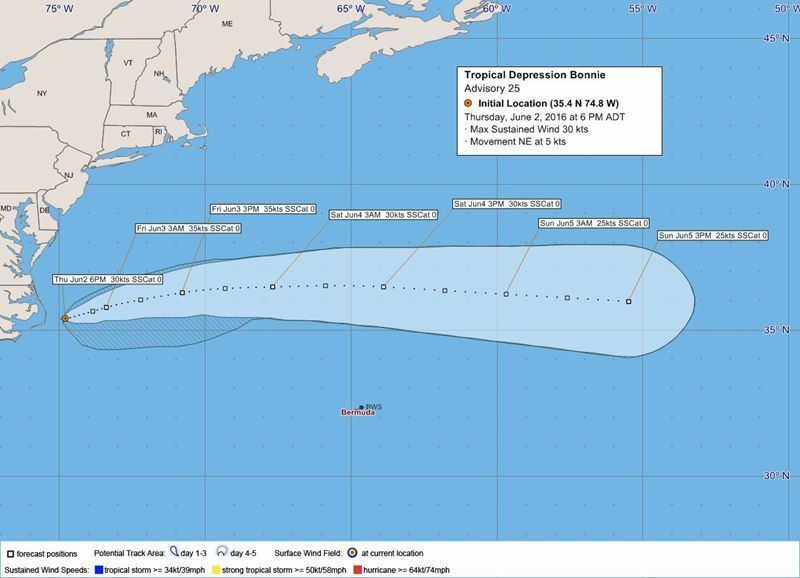 Tropical Depression Bonnie is a “potential threat to Bermuda,” the Bermuda Weather Service said today [June 2], with its closest point of approach to Bermuda within 72 hrs forecast to be 252 nautical miles to the north at 12.00pm on Saturday, June 4th. Hmmm…..time will tell.Hopefully NOT this time. Hopefully the local boats making their delivery to Newport ahead of the Bermuda Race stay safe. Bermuda Oyster look to be pretty close to that breeze. And so it begins. Starting early.